A new borrowing plan could pay for the improvements, but it still is subject to voters’ approval at the ballot box. AUGUSTA — The proposed renovation and expansion of Lithgow Public Library could move forward this year, with no need for a tax increase, under a plan recommended by City Manager William Bridgeo. Bridgeo said the city should combine existing employee pension debt and the $11.7 million needed to renovate and expand the library into a new 15-year bond. Staff file photo by Joe Phelan AWAITING FINANCING: Lithgow Public Library supporters hope city voters will approve a bond to borrow money for renovation and expansion of the historic library. He said paying back the new bond over 15 years would cost the city less per year than the approximately $2 million it pays each year now for the pension bond. That means the library project could be funded with no need for a property tax increase. The city council expects to discuss the proposal March 27. Bridgeo also said the proposal, which he worked on with Ralph St. Pierre, finance director and assistant city manager, would allow the city to pay the projected $250,000 in increased annual operating costs for the larger library, and the cost of temporary space during the roughly 18 months the library would be a construction site. Bridgeo said he would have recommended waiting until the pension bond is paid off before taking on the library debt if he thought the library’s building needs could wait another four years, but he doesn’t think they can wait. Library supporters are on board with the proposal, calling it a creative solution to the lingering dilemma of how to save the historic library, which opened in 1896. The refinancing proposal still will be subject to the voters’ approval. That could happen as soon as June, though city councilors also could decide to put the question to voters in November. 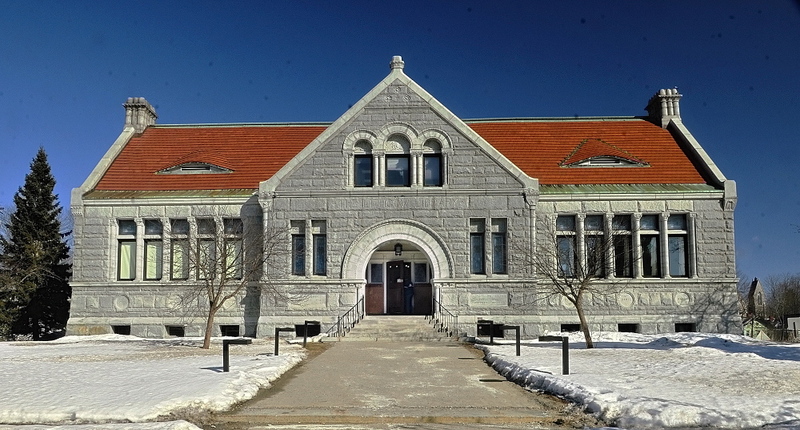 In 2007, voters rejected by 243 votes a proposal to borrow $6.9 million for essentially the same construction plan to renovate and expand the library. At the time, the library project was expected to cost $8.9 million, with the additional funds to be raised privately to cover the $2 million gap between the bond and the cost. The cost of the project has gone up since 2007, and an architect recently estimated its cost at $11.7 million. However, this time the Friends of Lithgow Library, the nonprofit fundraising group, has pledged to raise $3 million for the project. They’ve already brought in about $2.3 million in cash and pledges. In 2007, no private money had been raised before the referendum vote. Johnson said the city showing a commitment to the project could boost the private fundraising efforts. Johnson also said library supporters are confident they can reduce the $11.7 million cost by about $1.2 million, either by finding other ways to pay for some items or by cutting from the project. Previously, councilors also had earmarked $500,000 in city funds for the project. The bond referendum could ask voters for approval to borrow $7 million to $8 million. Bridgeo said he’s struggled with how best to deal with the need to renovate and modernize Lithgow, which is on the National Register of Historic Places, for 16 years. He said he still has concerns about the city’s finances and what seems like inevitable increased reliance on the property tax to fund basic municipal services. But he said he is convinced a modern library is an integral part of a healthy community, just like a modern hospital, YMCA, high school, or parks and recreation complexes. The pension bond debt for future retiree pensions dates as far back as the 1970s or 1980s, Bridgeo said. About 10 years ago, the city took out a bond to pay the Maine State Retirement System the remaining money owed by the city for future pension liabilities. He noted the library project could increase the library’s space from about 10,000 to 30,000 square feet. That probably will result in higher heating and electricity costs, and also require a larger staff to supervise the larger space.